The signing, earlier this month, of power purchase agreements for 27 independent power producer (IPP) energy projects under the Renewable Energy Independent Power Producer Procurement Programme (REIPPPP) supports an increase in black participation in the industry, as well as the creation of black industrialists, Energy Minister Jeff Radebe said on Thursday evening. In a copy of a speech delivered at the launch of the Black Energy Professionals Association (Bepa), he said the REIPPPP remains the only vehicle that progressively enables participation by black investors and industrialists in electricity generation. Through its unique programme design, the programme requires a mandatory 40% of South African entity participation and black enterprise, as well as broad-based black participation, in the form of ownership, economic and socioeconomic benefits. “With these latest projects, black shareholding of 64.2% of local ownership has been achieved, and shareholding by black South Africans has also been secured across the value chain. 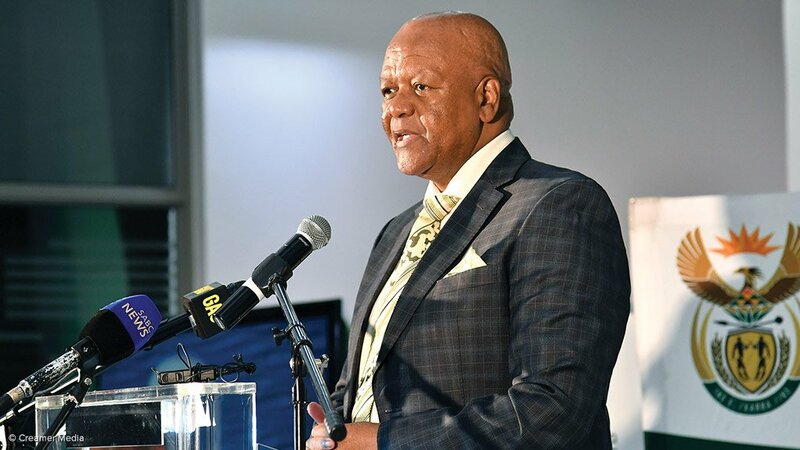 Black ownership and participation in engineering, procurement and construction projects and operating and maintenance projects, have improved under this new round of projects,” Radebe explained. Around 86% of top management jobs at the new IPP project companies will be filled by black professionals. Further, the IPPs have committed to an average of about 40% (R8.9-billion) of the local goods and services spend to be procured from black-owned enterprises during the construction period. Additionally, the REIPPPP focuses on ensuring sustainable benefits for mostly rural communities. The programme is embracing local community socioeconomic and enterprise development. Through an inclusive geographic approach, the programme has created opportunities across the country in rural areas. Radebe said local community shareholding in the newly signed projects amounts to 7.1%, or R1.63-billion. The local community shareholders for these projects will receive R5.9-billion net income over the 20-year life of the projects. Additionally, the IPPs will enable local communities to further benefit directly from the investments attracted to the area and IPP commitments in the areas of education and skills development, social welfare, healthcare, general administration and enterprise development. The signed IPP projects will contribute R9.8-billion to socioeconomic development initiatives and R3.39-billion to enterprise development over the 20-year life of the projects. “Although these statistics are encouraging, we believe there is more we can do to optimise black ownership and ensure active participation in the energy sector. Some of the economic transformation building blocks that we are already working on are in areas such as improving access to finance for local black shareholding companies and the structuring of refinancing arrangements. “Finding innovative and affordable funding mechanisms for the participation of black entrepreneurs in this space will allow the development of black industrialists, as well as ensure participation of black entrepreneurs in the mainstream economy,” Radebe asserted. The Minister recently proposed the development of an Energy Transformation Charter and says Bepa, which has been created as a forum for black professionals to share ideas, forge closer working relationships with government, influence government energy policy and collaborate in the energy sector, can play a positive role in developing and mutually agreeing on commitments to ensure that South Africa builds on its already well-known brand as a pioneer in the energy sector. Meanwhile, Radebe said South Africa has recognised the global shift regarding gas-to-power and has set itself the vision to enter the global gas market and promote the development of a gas market locally and in the Southern Africa region. “South Africa’s introduction of gas into the energy mix could play a major role in regional development. Sourcing of gas from neighbouring countries, such as Mozambique, can result in a win-win situation, where piped gas will stimulate economic activity along the routing areas in both countries,” he pointed out. Additionally, through regional transport networks, gas could be introduced into adjacent, landlocked Southern African Development Community countries. Radebe said that the liquid natural gas-to-power programme will be the main vehicle through which to stimulate the gas market in South Africa. “Over the last years, we have been putting in place the enabling framework for a private sector participation in our energy sector to enable gas industry development and growth,” he said, adding that there are opportunities in this area to transform the energy sector and the economy.